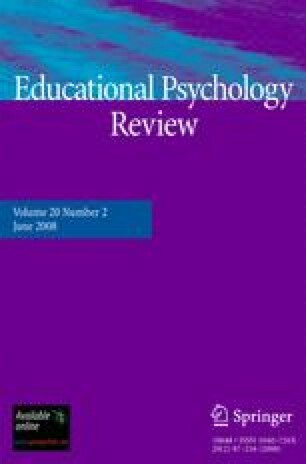 Studies that examine the effects of exercise on children’s intelligence, cognition, or academic achievement were reviewed and results were discussed in light of (a) contemporary cognitive theory development directed toward exercise, (b) recent research demonstrating the salutary effects of exercise on adults’ cognitive functioning, and (c) studies conducted with animals that have linked physical activity to changes in neurological development and behavior. Similar to adults, exercise facilitates children’s executive function (i.e., processes required to select, organize, and properly initiate goal-directed actions). Exercise may prove to be a simple, yet important, method of enhancing those aspects of children’s mental functioning central to cognitive development. Thalheimer, W., & Cook, S. (2002). How to calculate effect sizes from published research articles: A simplified methodology. http://work-learning.com/effect_sizes.htm.